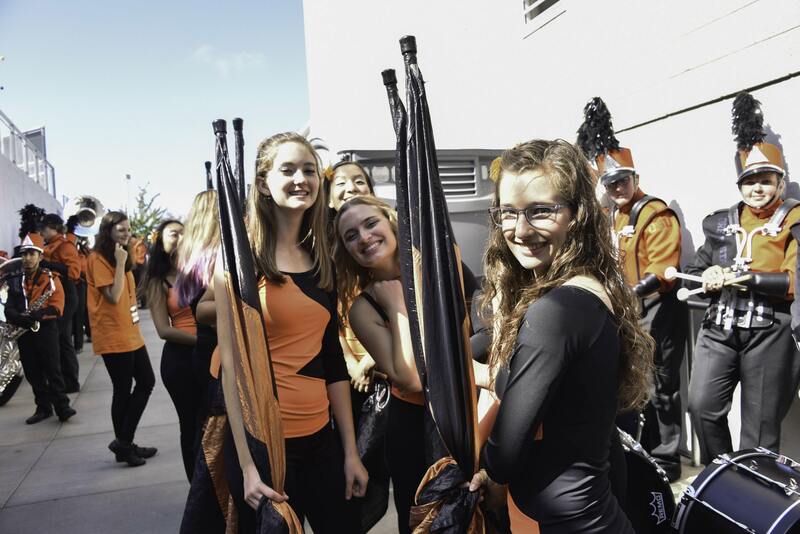 Hanna Royer and Jordana Buyserie are two color guard members at Oregon State University. From the outside you would never know that they are different from their fellow band members and that's on purpose. Band is the most inclusive activity on a college campus and Oregon State has embraced them with open arms. Both Hanna and Jordana are part of the deaf and hard of hearing community making them the first deaf members of the OSU Marching Band. Hanna was born with her right cochlea malformed and soon lost hearing in her left ear due to severe jaundice. She has bilateral cochlear implants, which she received at five and 20 years old. Jordana was a healthy baby when she was born, but her parents and doctors soon discovered she was completely deaf. She also has bilateral cochlear implants that she received when she was three and 11 years old. But, according to OSUMB band director Olin Hannum, talking to Jordana and Hanna is not a problem. “Interacting and speaking with them is just like anyone else,” Hannum said. Both Hanna and Jordana have an American Sign Language interpreter with them at every practice and every game. Their interpreters travel with the band and help them count during performances, often by visually counting to eight over and over again. Band Director Hannum recognizes how wonderful the support from the University is for them. Jordana and her ASL interpreter, Jason, work together to figure out counts, tosses, and other terms so that he can help her from the sideline. He’s been interpreting for her since her junior year of high school. Hanna and Jordana do still struggle from time to time, though their cochlear implants and interpreters help quite a lot. Hanna wasn’t allowed to have an interpreter on the sidelines when she marched in high school, so she had to learn exactly what to expect and always had to watch what was going on. Marching in college has been much more enjoyable for her. 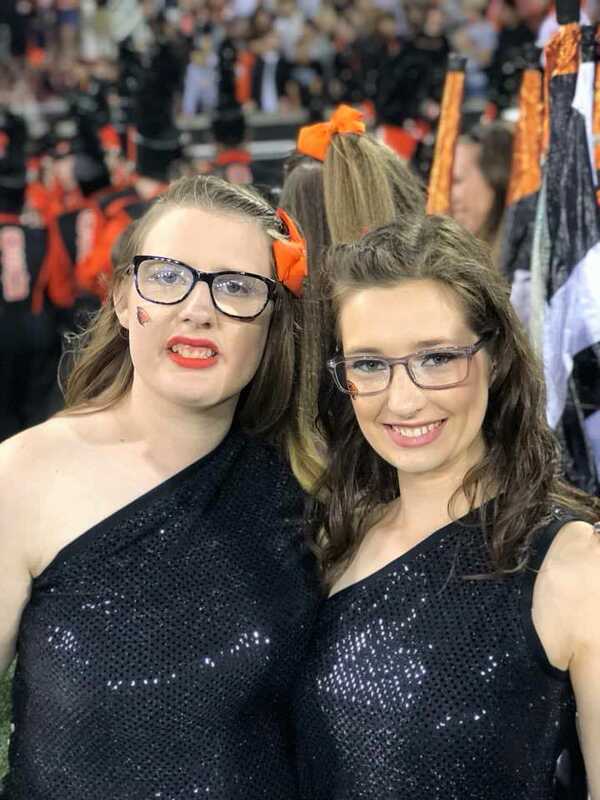 Both girls have plenty of experience with music and marching band; Hanna is in her sixth year playing an instrument or participating in the color guard, and Jordana has played various instruments since she was young. And join the band she did. Hanna picked up the flute when she was in the sixth grade and continued to play it through her school career, including playing flute in the marching band during her sophomore year of high school. She participated in the color guard at her high school for a year, and then jumped into OSU’s color guard her freshman year. As for Jordana, she began to play musical instruments when she was a young girl. She started with the piano, then the violin, and then other percussion instruments. Having gone to the same high school as Hanna, Jordana decided she wanted to follow in her footsteps and so she joined the color guard. 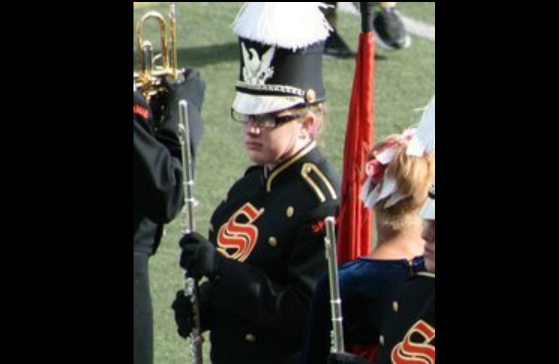 Her older brother was also part of the marching band. She quickly fell in love with the sport. Now she’s in her fourth year of color guard and marching her second season with the OSUMB. 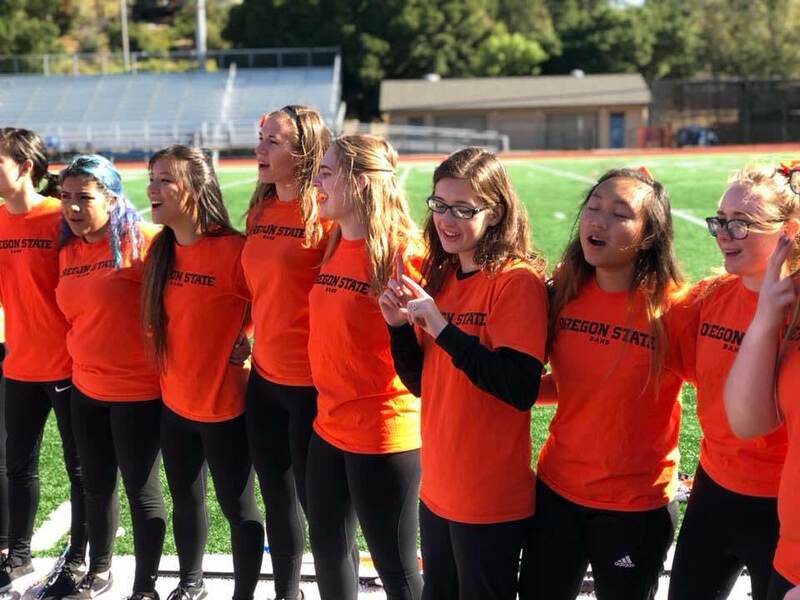 “My experience with the Oregon State University Marching Band, was priceless and it is the best thing I’ve ever done in my life,” Jordana said. Despite any struggles and frustrations, both Hanna and Jordana are doing their best to make a positive impact on the world around them. Neither one of them allows her deafness to hold her back and instead uses it to show other deaf and hard of hearing people that they can do whatever they set their mind to. Hanna plans to graduate with a history degree in 2019 and wants to join the Peace Corps in Morocco, then later become a diplomat with the U.S. State Department. Jordana hopes to be involved in her community and participate in local events, write a book, or even become a public speaker someday. She hasn’t chosen her major yet, but she’s considering a communication major or studying to become an event coordinator. Both of these young women are a wonderful example for kids in the deaf and hard of hearing community and they use their platform in the OSU color guard to be an encouragement to those watching them. Hanna holds the same passion and belief. “I always like to show people it does not matter if I can’t hear. I can do anything,” she explained proudly.